I have been a vegetarian for about 17 years so I have seen every horrified face and heard every persuasion to just “try a bite” that’s out there. To no surprise, those faces and carnivorous pleas did not change when I decided to move to Italy. I’ll admit, Italy does have a reputation of being a predominantly carnivorous culture. But I have a secret for you—it’s easy as pie (a pizza pie in fact) to be a happy and well-fed veggie here. Not only are there traditional Italian dishes that are vegetarian, but as the meat-free lifestyle increases, more and more restaurants are offering a shelter in the storm for us grass chewers, as I have so lovingly been called be an Italian friend. I’ve done the hunt and have brought you my recommendations to save you time on your visit in Rome. There is a bit of everything in the restaurants below- quick and cheap, traditional trattoria, food art, and of course, desserts. Get ready to be amazed by your veggie options: here the best vegetarian and vegan restaurants in Rome. Think home-style cooking with an organic flare. This treasure prides themselves on having a slow street food atmosphere where everything is natural and organic. You can see the impressive kitchen from the outside and when you order at the counter (for dine in or take away) the employee gives the chef your order and it is prepared right then and there –I felt like I was in somebody’s kitchen. You will be able to find vegetarian, gluten-free, vegan, but also meat dishes so there is truly something for everybody. Plus, you can feel like you are making a positive impact on the environment eating at this place. What can beat activism and good food? This place takes traditional Italian food, like meatballs, and offers a vegetarian twist, like eggplant balls or quinoa balls. The name is a play on words of the Italian word fritto, meaning fried. They’ve gone creative and reminded us with their name that we are “free to” eat the food comfortably because it is all natural and artisanal. 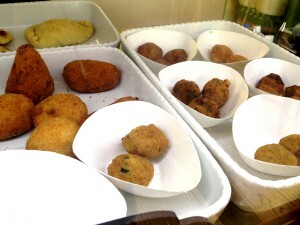 They have small pizzas, countless snacks like the meatball variations, and other Italian treats with a veggie influence (including and entire vegetarian samples). I love the location of FREEtto because it is out the tourist hub and in a residential/office neighborhood so you get to see beautiful architecture and Italians in their natural habitat. Vegetarian and carnivore friendly, but no options for vegans. 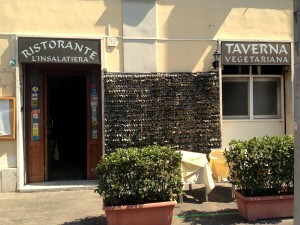 L’Insalatiera is a cozy sit down vegetarian hot spot just a short walk from the Vatican. They are open for lunch and dinner starting at 12:30, which is perfect timing for after your morning Vatican tour. Food makes its way to art at this only-veggie treasure with affordable prices and welcoming atmosphere. An added bonus? Everytime I’ve been here I’ve gone with primarily curious, and may I add skeptical, carnivores, and they have always left full and happy. Hooray! The proof is in the pudding, err, name. This food is art. One of the best restaurants I’ve ever been to, and I mean that as industry wide and not only vegetarian. An art gallery and restaurant combined, you will have the pleasure of eating Roman classics with a perfect vegetarian infusion. At lunch you can opt for the buffet or order from the menu at dinner- either way you will not be disappointed. This is another place that I’ve taken my meat-craving friends to, and they’ve all been blown away and had their vegetarian stereotypes proven wrong. You will find both tourists and locals at this hot spot, which is conveniently located in the center between the Spanish Steps and Piazza del Popolo. They are closed for renovations till September 4th, so plan accordingly if you will be in Rome the first week of September. Not a place to miss on your Roman holiday. I have to say this is another one of my favorite restaurants. 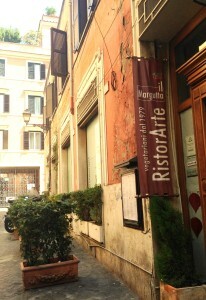 Not only is it located on an ideal Roman side street near Piazza Navona, it has incredible food for every person. Vegan, vegetarian, gluten-free, and meat dishes can all be found here and guaranteed no one will be disappointed. 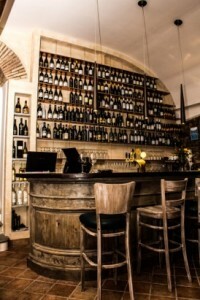 Sedie e Cantine is a popular place for both tourists and locals—you will even find family and friends of the restaurant going in and out all day. Case in point- last time I was there for lunch local butchers were going in and chatting while having a glass of wine at the impressive bar. If you are vacationing during warm weather I highly recommend sitting outside. You feel transported back to ancient Rome being surrounded by the beautiful buildings and escape of busy streets. 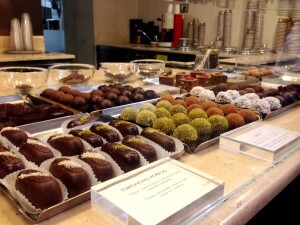 If you have a sweet tooth, do me a favor and give in at Grezzo. Raw, organic, and completely vegan, Grezzo is a place where the dessert angels come to sing. You have the option of truffles, cookies, gelato, smoothies, cakes, truly anything and it is all environmentally and animal approved. 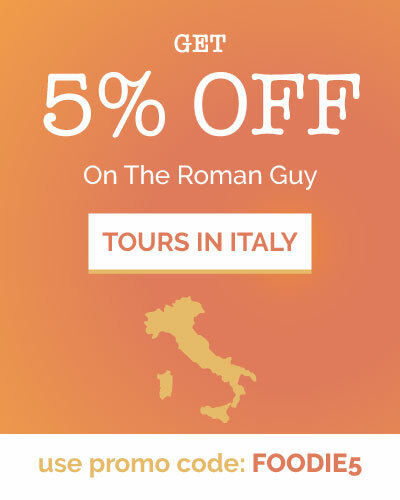 This won’t be the cheapest place you visit on your Roman holiday, but a visit is a must. There is a small seating area, but my favorite thing to do is get the treats to go and walk around the neighborhood, Monti, which is one of the prettiest areas in Rome. 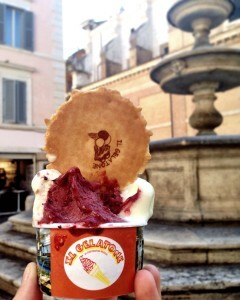 Also located in Monti, Il Gelatone is the best place to get vegan gelato, especially if you are travelling with non-vegans. 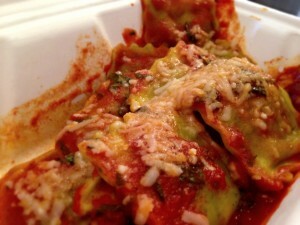 Not only do they have a surprisingly large selection of vegan flavors, but there is also an expansive non-vegan menu. Insider tip? Walk your cup or cone just a few steps down the street to the Piazza Madonna dei Monti and sit at the fountain with your tasty treat. There you have it. My favorite vegetarian havens can now become yours and you can tell people back home how easy it was to maintain your vegetarian or vegan lifestyle on your Roman holiday. 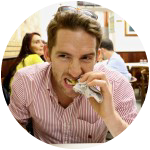 Sign up for one of your Food Tours for even more restaurants tips in the Eternal City. Live on and eat on, veggies!